Maudie Quinn is my cousin. Her dad and my mum were brother and sister. My Uncle Frank Maudies dad died there not so long ago Maudie lives in Clonard Street now My name is MAGDALENE. We lived in Market but i remember going up to Cape st as a child. I remember air raid shelter and like a large Trough filled with water for the horses .As horse and carts were part of daily living for all house hold necessity s.You ptoo young to remember. MAG, HORSE TROUGH WAS IN ALMA ST. AH, THE AIR RAID SHELTERS. THEY WERE THE DAYS. THERE WAS ONE JUST BELOW ALMA ST/ROSS ST. THEN ABOUT 6 IN RAGLAN ST. THE WEE GIRLS LOVED THEM. 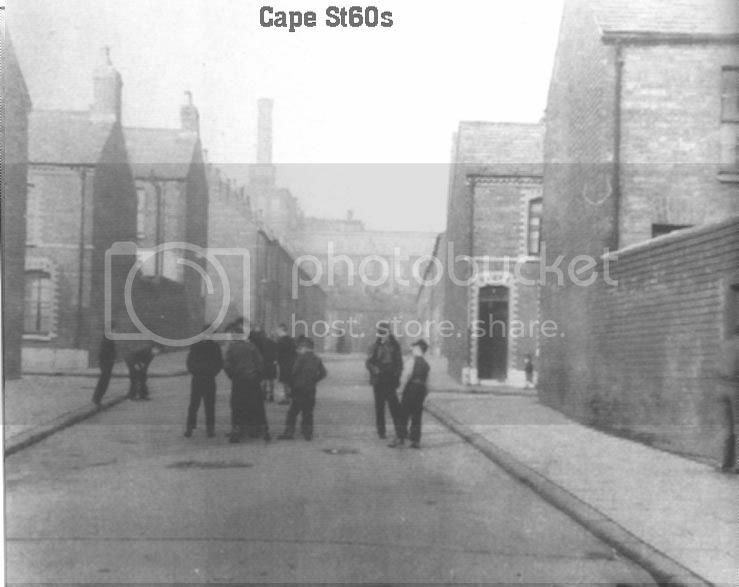 Does anyone remember the Doolan family who lived in Cape Street before and possibly after WW2. Any idea what number house they lived in? I was born there in '44, left in '70 ... don't remember the Doolans. Here is a pic of Cape St who do you know? Be careful out there folks because they aren't. NED. SHOULD HAVE WENT TO SPECSAVERS. Number 23 where I was born and raised until I left for Canada in 1970. New your brother Micheal when i went with Eileen Delahunty from Cape St back in the 6os. Eileen was Joe Raineys step daughter. Joe Rainey stell goes into the PD in andytown. He myst be well in his eightys. Rocky1, Are you the person that sent me the private mesage yesterday from Conway St? If so, sorry bud. I asked the question back in April and did not link your reply to my question. I will mention your name to Michael later this month as my wife and I are heading home to Belfast for a few days.